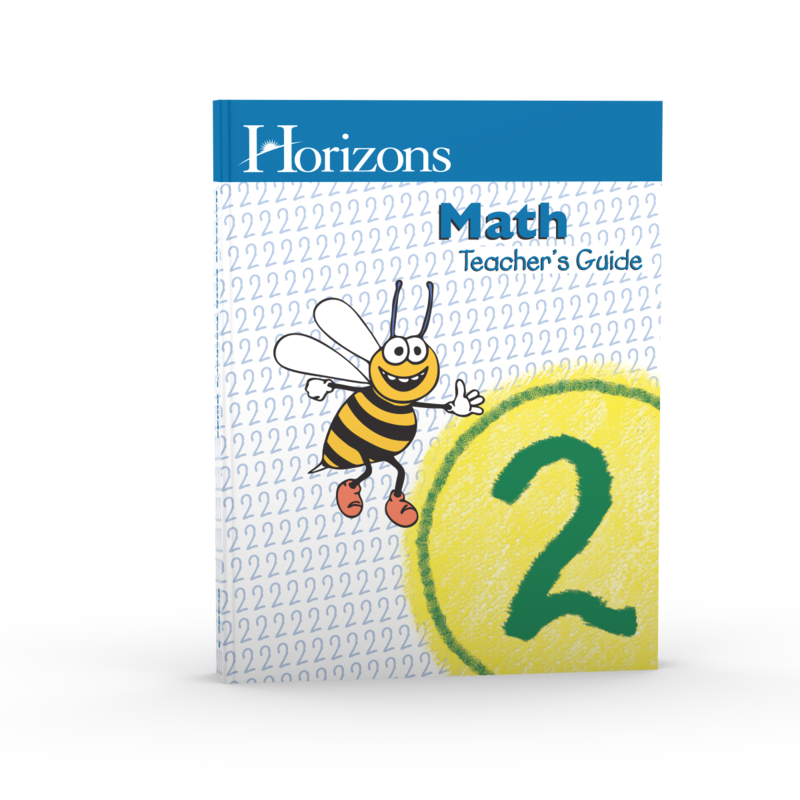 Save precious teaching time with the helpful Horizons 2nd Grade Math Teacher's Guide. This two-part teacher's guide has daily lesson plans that list teaching tips and suggested learning activities for lessons in Horizons 2nd Grade Math Student Book 1 and 2. This Alpha Omega curriculum guide includes answer keys, drills, and additional practice worksheets. Doesn't every homeschool parent appreciate help when teaching elementary math? Now you can save time and make your homeschooling more fun with the Horizons 2nd Grade Math Teacher's Guide from Alpha Omega Publications. Lesson planning is easy with the scope and sequence, manipulative schedule, and an additional worksheet schedule included in Part 1 of this handy teacher's guide. In addition, the appearance and development of math concepts are also listed to give peace of mind as you explain what your child is learning to others. Most importantly, you'll love the easy-to-understand daily lesson plans that include detailed teaching tips, required materials, and suggested learning activities for all 160 lessons contained in the Horizons 2nd Grade Math Student Book 1 and 2. But there's more! Part 2 of this helpful teacher's guide reinforces the math concepts taught in each lesson with additional worksheets and drills. In addition, answer keys replicate your child's daily work in his Alpha Omega curriculum guide to make grading lessons quick and easy, no more wasting time trying to match the correct answer to each question. Foolproof and reliable, the Horizons 2nd Grade Math Teacher's Guide has everything you need to teach your child math successfully! Add yours to your cart today!